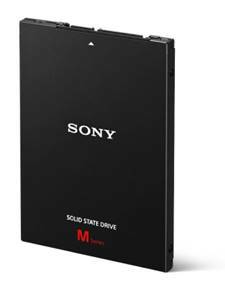 (SINGAPORE, 3 February 2016) – Sony is proud to introduce its first smart and ultra-fast internal solid-state drive (SSD) – the SLW-M series. This new 2.5-inch internal SSD expands and value adds to Sony’s current range of SSD and HDD products that aim to meet the needs of users today. Running five times faster than conventional HDDs, the new SLW-M internal SSD has an ultra-fast reading and writing speed of 560MB/s and 530MB/s respectively1. This ensures a quicker boot-up process and greatly enhanced PC performance, so you can work and play with much greater ease. Additionally, the SLW-M is highly reliable and far more durable in comparison to conventional HDD storage. You can be confident and assured that your precious data will remain safe and secured as the SLW-M is resistant towards external impact and vibration. Enjoy some peace of mind as you can now avoid reading and writing data errors, and extend the life of the product all thanks to Garbage Collection, a process to help prepare free space in the internal SSD in advance through data consolidation; and other maintenance activities such as Wear Levelling, a function that helps prolong the life of the SLW-M; and Error-Correcting Code (ECC) function, where the internal SSD is capable of detecting and correcting any kinds of internal data corruption. Users can also download smart software which consists of Data Cloning function and the Sony SSD Toolbox. Data Cloning is an extremely quick and simple process of backing up the entire data stored in your PC, including the operating system and its applications – great for emergency situations where the SLW-M can replace the internal conventional hard drives in your PC. Furthermore, the Sony SSD Toolbox provides a comprehensive summary of the SSD such as its model name, capacity, firmware version, serial number, and lifespan of your device. The Toolbox also has the S.M.A.R.T function, which checks the detailed parameters of the drive to ensure that performance and reliability is up to speed. Available in two capacities, 240GB (SLW-MG2) and 480GB (SLW-MG4), the new SLW-M internal SSD is now available at all Sony Stores at the recommended retail prices of S$139 and S$259, respectively. Based on Sony’s internal testing. Users need to prepare additional components such as USB-to-SATA cable or 3.5-inch mounting adapter and screws.